Our Club Canteen is an important part of our annual fundraising activities each year. The Club Canteen is run by volunteers who also have full time jobs. The Club Canteen helps to fund new equipment, jumpers, court hire etc and can only operate each season with the assistance of volunteers and we thank you for your support. 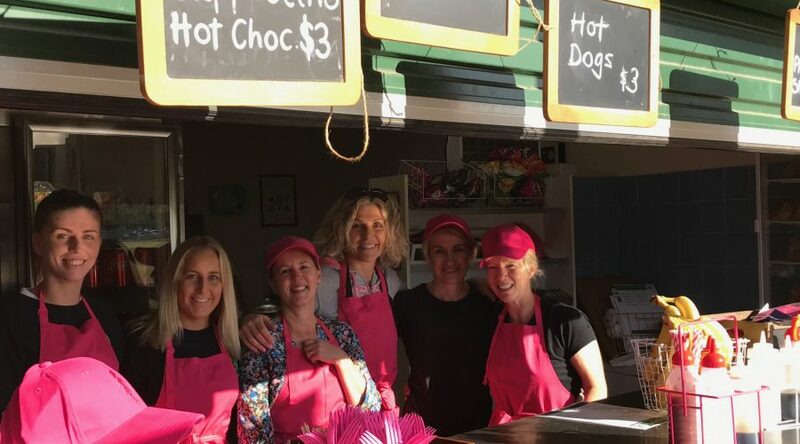 In 2019 we need volunteers to assist in the Canteen for nine home and away seasons, AFL Home games and other local activities. Time slots are generally set to 2 hour blocks. If you are able to assist please put your name down for one or more sessions. Sign up with a friend and come and meet other Club members. We love for young people to help out however need to be careful that in any shift we only have 2 children of age 15 and below. There must always be 2 adults on each shift. We are happy to take on students who are required to do Community Service and sign-off that they have completed their required volunteer Community Service hours. Once you sign up you will be emailed a reminder prior to your date. If you need to cancel your session, please ask around and endeavour to find a replacement or contact Gabrielle Ling on 0409 476 768.